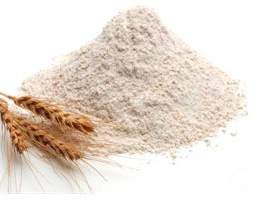 Most of us believe that thae is no difference among grain flours, and even to our eyes they look pretty much the same. But it is definetely wrong. Not all flours are the same. Each blend is studied to get a particular taste to that specific bakery product. what do we know about the flour? It is a food compuond coming from the milling and refining of grains, so then they are freed from other substances and impurities; flour consists mainly of starch, with minor parts of protein, fat and fiber. In wheat flour gluten plays a fundamental role because it creates a pattern within the mass of the dough, which makes it compact, elastic and capable of retaining gas that develop inside, which makes the characteristics bubbles: this process is used for bread and other harvested products with its characteristic spongy texture. 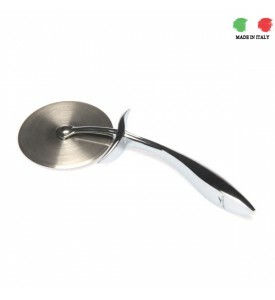 The ideal flour for bread and pizza is not the so called “OO”, which is the common white thin flour better suited to desserts, fresh pasta and pasta . Bread and Pizza require a "strong" flour with a high content of proteins. A strong flour absorbs a greater amount of water in the dough and makes it more resilient and tenacious, soft and crunchy at the same time.